At 38 years old, I am no stranger to the dentist. My mouth looks something like an experiment. I have had adult braces, 4 veneers, 2 caps, 1 extraction, who knows how many fillings, and am about to get my wisdom teeth out. Reading that you would think I just don’t take care of my teeth. I must never brush or floss or keep them clean and you could not be further from the truth. I have been fighting an abundance of plaque build up and weak enamel my entire life. But let me tell you something else- the toothpaste and dental preventatives on the market right now are full of pretty boxes and varying flavors, that also have limited results. Preventative care that works? It’s something we are all searching and a bright healthy smile is on the forefront of nearly everyone’s mind. Recently Livionex reached out to me. First I thought… $20 toothpaste? That’s…expensive. Its what we are all trained to think- expense over anything else. But I will tell you what’s expensive, a dental visit. 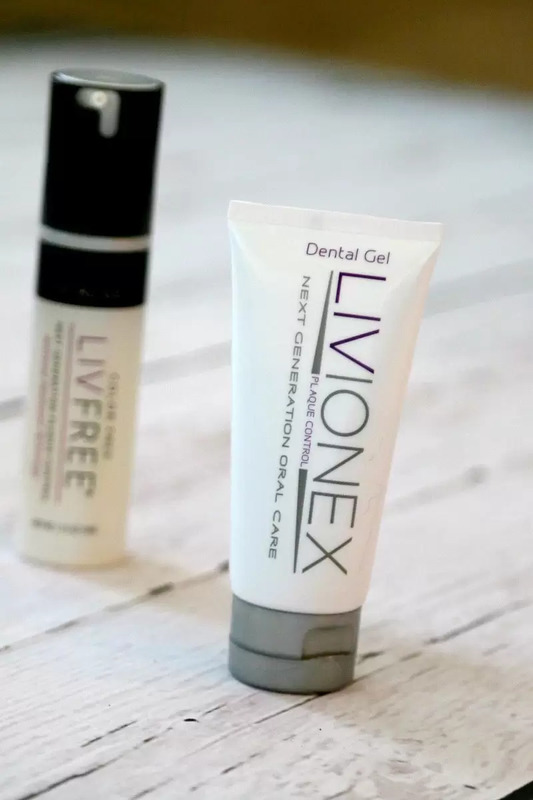 Now let me tell you why Livionex Dental Gel can help you change your entire dental future- pretty boxes aside. For women: At certain stages of life (puberty, pregnancy, and menopause) and menstruation hormones can create more bacteria in the mouth leading to plaque buildup. The gel addresses plaque buildup, without endocrine disruptors or parabens and toxins in their formula. For children and teens: Livionex’s LIVFREE (the dye-free formula) is a great solution for children with sensitivities to artificial colors and flavors. According to the Feingold organization, there are approximately 500-thousand children across the country who experience reactions to artificial colors and flavors. Livionex also doesn’t contain foaming agents (for kids that don’t like bubbles in their mouths) and has a mild mint flavor, instead of an overpowering minty taste that certain mouths can’t tolerate. 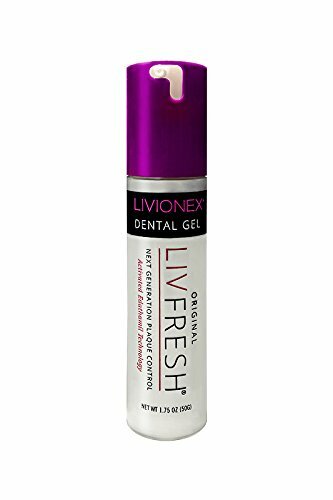 For teens with braces, Livionex Dental gel cleans plaque in and around the brackets so they don’t have stains when their braces come off. For cancer patients: LIVFREE is an ideal solution for those undergoing chemotherapy (with mouth sores and pain) who can’t tolerate strong flavors when brushing. People regularly spend a hundred dollars on face serum, eye cream, or hair products to improve their appearances. 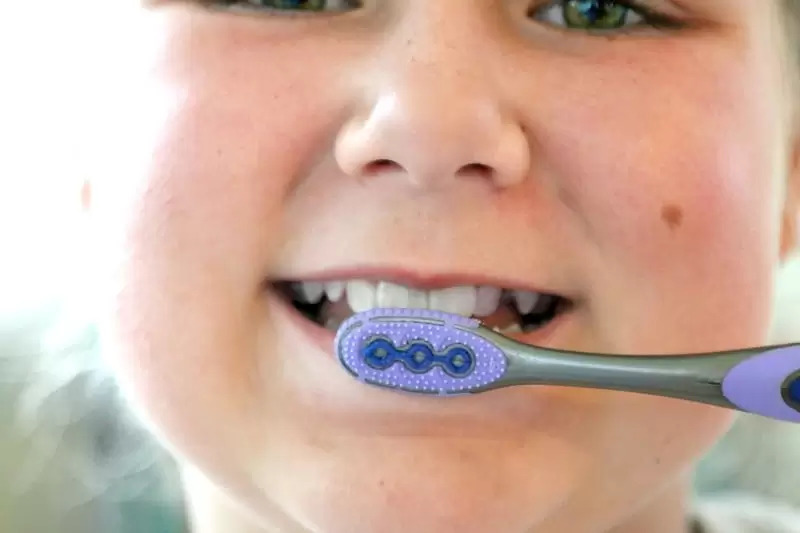 But are they willing to use a $20 tube of toothpaste that promises to clean their teeth unlike any other toothpaste in the history of oral care? And that helps them avoid costly dental procedures down the road? Recent US Centers for Disease Control (CDC) data shows that a ‘silent’ epidemic is happening: 90% of American adults suffer from gum inflammation (gingivitis) and 47% have gum disease and are at risk of losing their teeth– conditions caused by plaque build-up. Oral disease is often a precursor to oral cancer, and has been linked to heart disease, arthritis, breast cancer, and other systemic diseases. Silicon Valley-based Livionex has achieved a breakthrough in the treatment of this high-risk plaque. 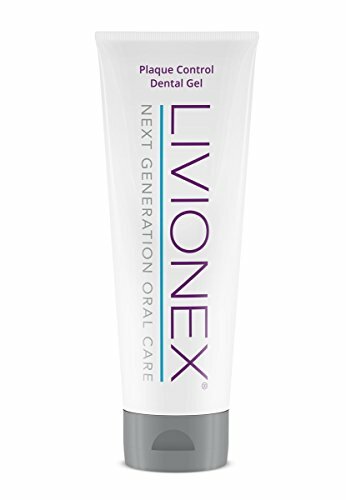 In a 2014 published study, Livionex Dental Gel was found to clean teeth 2.5 times better than a leading toothpaste. It’s also found to be effective for reducing morning ‘bad’ breath. 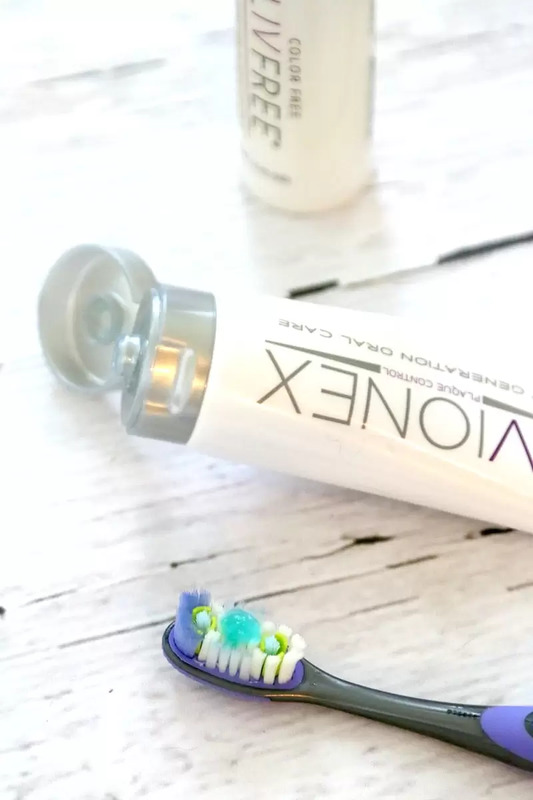 Another study released in March by the University of California, Irvine showed that Livionex Dental Gel works two times better at controlling overnight plaque buildup–when our mouths have less of a cleaning mechanism. It was 4 ½ times more effective at reducing plaque— after brushing at night and again in the morning. 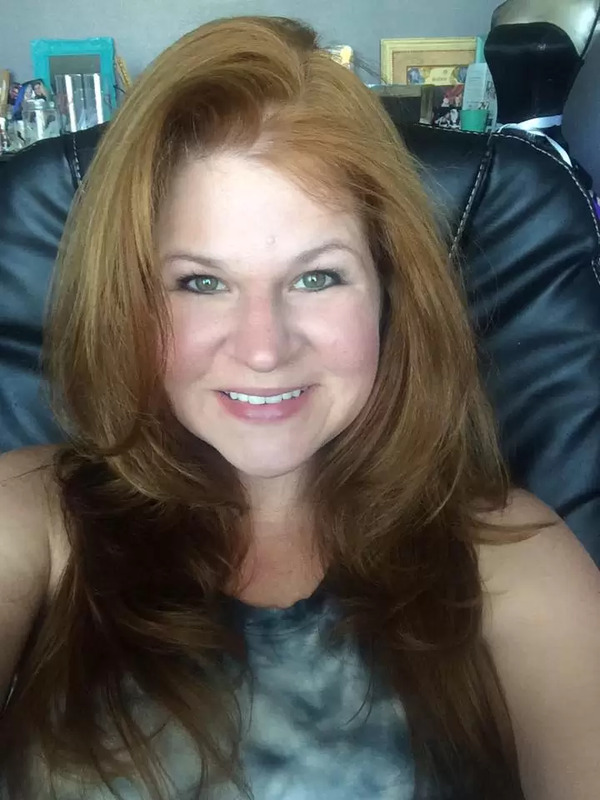 I recently had an opportunity to test out LIVFREE Dental Gel in my own home. As someone that typically uses a sensitive toothpaste brand, I wanted to be sure my teeth could handle it before I told everyone about it. I have had no pain or reaction from my very sensitive teeth, so that was score one. Taste : First, you should know that the lack of extra filler detergents means no foaming. This can be odd the first few times, but I got used to it quickly. It uses peppermint oil for flavoring, which was mild to me. You have to also remember NOT to put water on your toothbrush before you brush, since it’s soluble. I look forward to checking at my next dental appt if I have any improvement in plaque on my teeth. For me, personally, having a product that is actually giving me results and not landing me back in the dental office scratching my head is worth the price. 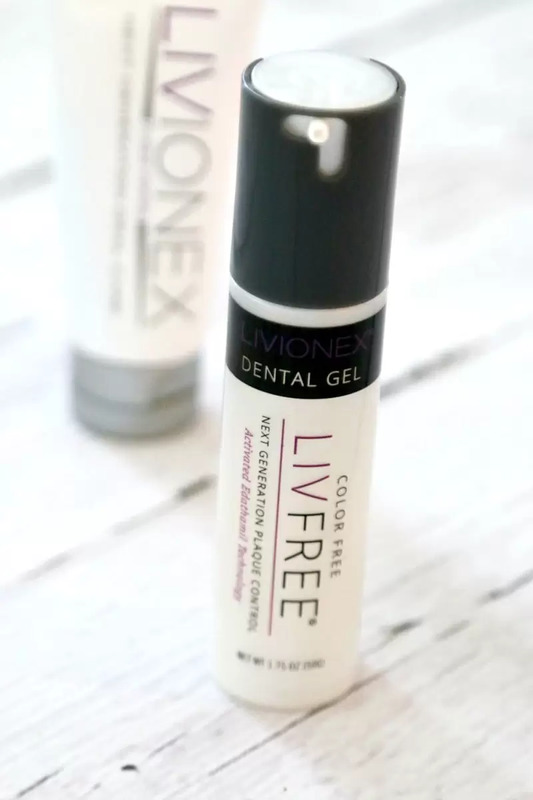 I am going to continue using Livionex Dental Gel the rest of the year and see how it goes. I’ll be updating after that! If you want to learn more, and there is a lot to learn, head to Facebook, Twitter, or the Livionex website. This is a sponsored conversation written by me on behalf of Livionex Dental Gel. The opinions and text are all mine.